Rachel choosing Bryan over Peter isn’t the only upset to come out of the 13th season of The Bachelorette. Fan favorite Peter seemed poised to become the next Bachelor, because that’s usually how these things work—when the door to one fantasy suite closes, another one opens on the next soundstage over. But ABC’s just revealed who will be handing out roses to women in sequined gowns next season, and—surprise!—it’s a former Bachelorette suitor who no one really remembers. 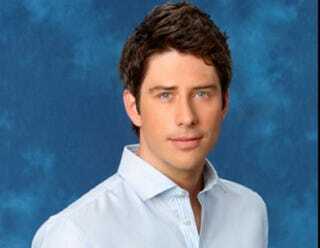 Arie Luyendyk Jr. has edged out Peter Kraus for some as-yet-unknown reason, though we suspect it could be because his oval face offers some respite from the lantern-jawed guys we’re used to seeing. Luyendyk Jr. went on Good Morning America to talk about his new romantic opportunity, having seemingly recovered from not being chosen by Emily Maynard (now Johnson) on season 8 of The Bachelorette. Luyendyk Jr. is an IndyCar driver turned real estate broker who, despite not being memorable enough to move on to The Bachelor after his Bachelorette defeat, is now going to lead a primetime series, in a sense. Well, whatever the case—Kraus is rumored to have had scheduling conflicts—some guy you vaguely remember will now get a second chance at nationally-televised love.